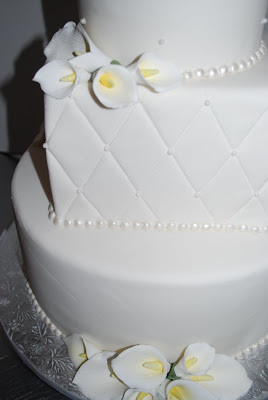 This 3 tier cake was for one of my favorite brides every! Do you ever meet someone and just enjoy ever dealing you have with them? Well, that’s Karen. 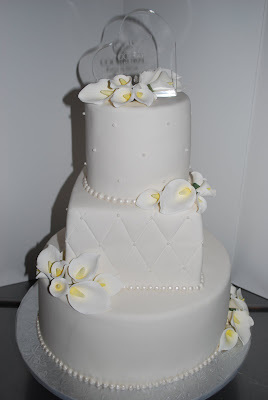 We delivered her wedding and groom’s cake to the Chattanooga Nature Center on a very hot morning. She was very smart to move her time up so it was early. In fact it was the earliest I have ever delivered a wedding cake, 10am! Of all things the topper gave me a fit! Even fondant cake is not per stable enough. If someone bumped the table, that crystal cake topper was coming down! Since it was see through, it was impossible to put skewers or anything in or around it. I ended up putting a couple of silver wires and royal icing around it just until the event started. Another benefit, I saw a chipmunk and baby bunny on the way out! Yeah nature!